Every once in a while- like today- I skip church. Worship is a beautiful thing. In our tradition its order is prescribed. We are “people of the book” and, in that routinized practice we find comfort, solace, predictability and security. We know that the opening hymn and sentences will be followed by the lections for the day, that we can expect some exposition on the lessons (sermon), that our preparation in the Word will lead us to the Table, where we will celebrate, together, the Holy Mysteries and, in the breaking of one snappy, thin wafer, we will find Christ among us. We will make our pilgrim way to the front of the Church, bend our knees, and receive a meal that will nourish our souls into eternity. Worship- and the sacramental act of Holy Communion- is like that. But worship can be wildly unpredictable, an unleashing of the Holy Spirit- transformative and freeing. The structure that we abide: hymn, lesson, sermon, prayers, etc… sets up a scaffolding, a framework, on which the Spirit swings and dances and winds her way in and over and through, moving us in ways that we are not always expecting. I have seen great moments of reconciliation take place at the Passing of the Peace. I witness – and experience of my own accord- tears in eyes (others, and my own,) on a regular basis in worship. I see people at the altar rail with their heads, bowed in respect to Almighty God, hands held high to receive the Bread of Life, and I have looked deep into eyes of those who meet mine, searching for hope and strength, as the small wafer is pressed into their palm. Sometimes, as I distribute communion and say the words, “The Body of Christ, the bread of Heaven,” people respond- not just with an “Amen,” but with other words: “Thank you, Jesus,” or “I believe it,” or “This is true.” It is a privilege to be part of that moment of the meeting of Jesus and his people. A monk friend of mine commented once on the rote-ness of our Anglican worship, claiming that in the routine of structured worship, our hearts and minds and souls are freed to encounter God in ways that we cannot meet in other places in our lives. And in the orthodox tradition, there is the belief that when we receive communion, the veil between heaven and earth is lifted, for just a moment, and we are One with the saints in light. We can worship on our own. By offering thanks to God; by sighing at anther gorgeous sunset; in spending periods of quiet, listening and looking for God- these acts of prayer and adoration are certainly worship-ful. But corporate worship is an act of grace, all of its own. 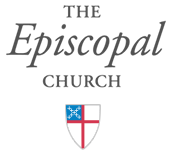 The “Outline of the Faith” in our Book of Common Prayer (a.k.a. “The Catechism”) tells us that in corporate worship we “unite ourselves with others to acknowledge the holiness of God, to hear God’s Word, to offer prayer, and to celebrate the sacraments.” (BCP pg. 857) It’s that “uniting with others” part that is so important to me. We come together, as individuals, as different as we can be- old, young, black, brown, white, gay, straight, as students, retired, poor, wealthy, with children, without children, educated, without formal education, well dressed, in old clothes, solid in our faith, questioning, afraid, joyful, despairing, exuberant, depressed, sober, anxious, secure, unglued- we come together, just as we are- and create, in our gathering One Body, to offer ourselves to God and to praise God, for God’s holiness. In that, we worship a God who is strong, tender, compassionate, passionate, just, creative, healing, sustaining, empowering, strengthening, wise, fervent and omnipotent. The God whom we worship as One Body is all of that, in one moment, as we bring our own experiences, hopes and dreams together under one roof to worship. 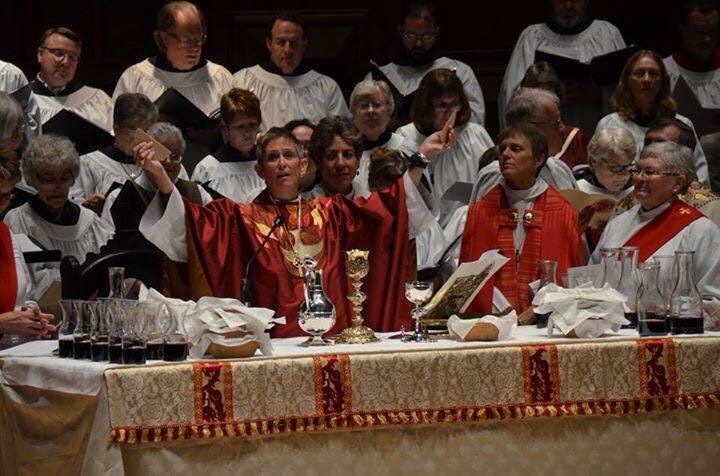 A word about our worship here in Central Pennsylvania: this essay presumes that our worshipping congregations participate in the sacrament of Holy Communion each week. To claim that for our entire diocese would be untrue. Several of our congregations do not participate in Holy Communion each week, but gather, faithfully, to worship through the service of Morning Prayer in our prayer book. These congregations do this because they do not have a priest with them each week. Some of them are in remote areas where it is difficult to get a priest to come each Sunday. Other of these congregations are unable to pay for the services of an ordained priest to celebrate with them each week. Our 1979 Book of Common Prayer and the current theology of The Episcopal Church makes Holy Communion the “normative act of worship” on a Sunday: “The Holy Eucharist, the principal act of Christian worship on the Lord’s Day and other major Feasts… (is) the regular service appointed for public worship in this Church.” (BCP 13) While Morning Prayer and Evening Prayer and other rites contained within our prayer book are efficacious, the sacramental act of the Holy Eucharist is normative on the Lord’s Day. This is an issue that has become part of my work and discernment about how we work and worship in our diocese as One Body. You’ve heard me say, no doubt, that “Christianity is a team sport.” (with kudos, I think, to my former rector, for that one.) Worship is the means by which we honor God, and communal worship is the way in which we become the Body of Christ. We need each other. When we are together, with our hearts and hands and voices raised in prayer and praise, we are at our best. We need that experience of goodness in this sorry world. I know that I need it. And so, while today I am skipping church (it’s a holiday weekend) and I am home in my study working on blogs and sermons and letters, I will be back at it, next week, shoulder to shoulder with God’s people, in worship. Today, Morning Prayer in my armchair in the living room is good. Next week, breaking bread and joining with the Body of Christ, will be great. “Just as we are…..” Thank you for acknowledging that, Bishop Audrey. Bishop, I have read your blog and found it most interesting and heat warming. You are much like Mother Barbara, as everything you say is done in layman’s terms so as to understand what you are saying. I look forward to your next blog in this series. My heart is filled with love for the Lord and I yearn to learn more. Peace be with you, Bill Gawors. This one brought me to tears in recognition of what you express so beautifully and so well. Thank you for sharing your experiences, your emotions and thoughts and guidance with us. Thank for for paying homage to the perseverance of struggling parishes. Their faithfulness is an example to all of us.